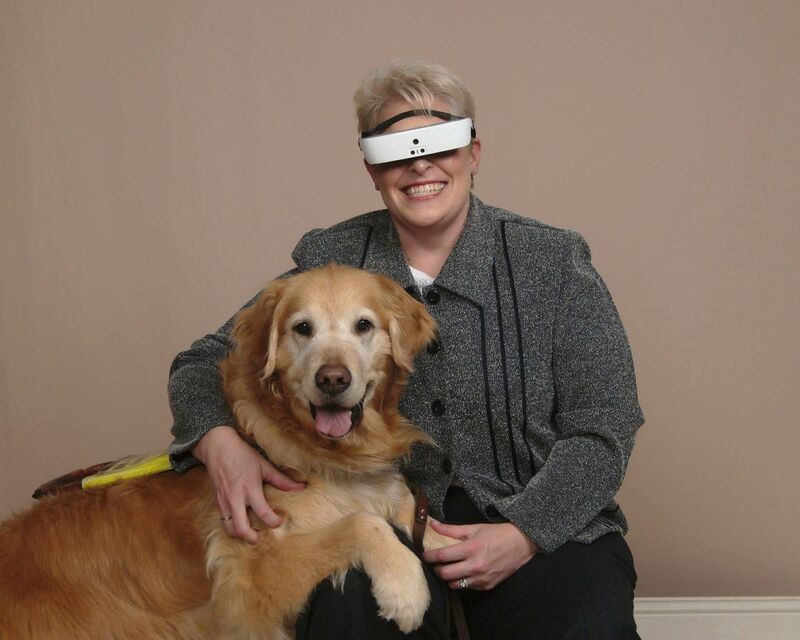 A clinic to preview the new eSight -- adaptive eyewear that can give some legally blind people near-normal vision -- will be held April 12-13 in the fellowship hall at St. Paul’s Evangelical Lutheran Church, 12 N. 6th St.
Reservations are required, and the deadline to register is Wednesday. To register for the clinic call 910-253-2127 during regular business hours. Using a combination of optics, computer software and modern electronics, eSight glasses capture enhanced images and project them as videos in front of the eyes. The images help those with limited or impaired vision, even those who are legally blind, to see much better. The base cost of each unit is $5,950, and a variety of financing options are available. Not everyone is a candidate for eSight, and it cannot correct such conditions as glaucoma and macular degeneration. Counselors will be on hand to suggest alternative adaptive devices. During the clinic, individuals can try the eSight and see if it works for them. Hours will be from 1 to 5 p.m. on April 12 and 9 to 5 p.m. on April 13. The Wilmington Woman’s Club and Wilmington Lions Club are co-sponsoring the clinic. For more information, call Jennifer Delong-White at 910-253-2127. The Wilmington Lions Club of Wilmington, NC, was chartered in 1922. Since its founding the Lions have been known for their aid and work with the blind and visually impaired. 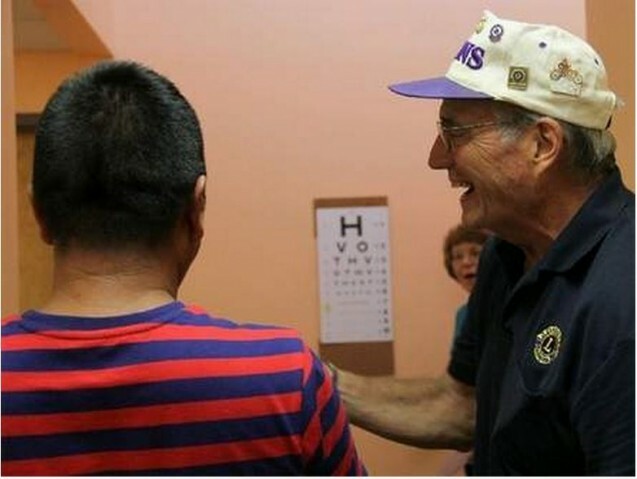 One of the key and distinctive projects of the Wilmington Lions Club has been providing eye screenings and vision services to the Greater Wilmington Community. For many years the Wilmington Lions Club has used eye screening charts to screen the eyes of many local children and adults. The Club also utilizes the NC Vision Van, properly named The 21st Century Mobile Screening Unit to screen vision and hearing screenings. Something new has come to New Hanover County, Pender County and Brunswick County. Our counties are part of Zone 3 and 5 of the NC Lions District 31-N. We have just received a Lions Club International Foundation matching grant for $12,064 to purchase 3 Welch Allen Spot Screeners. 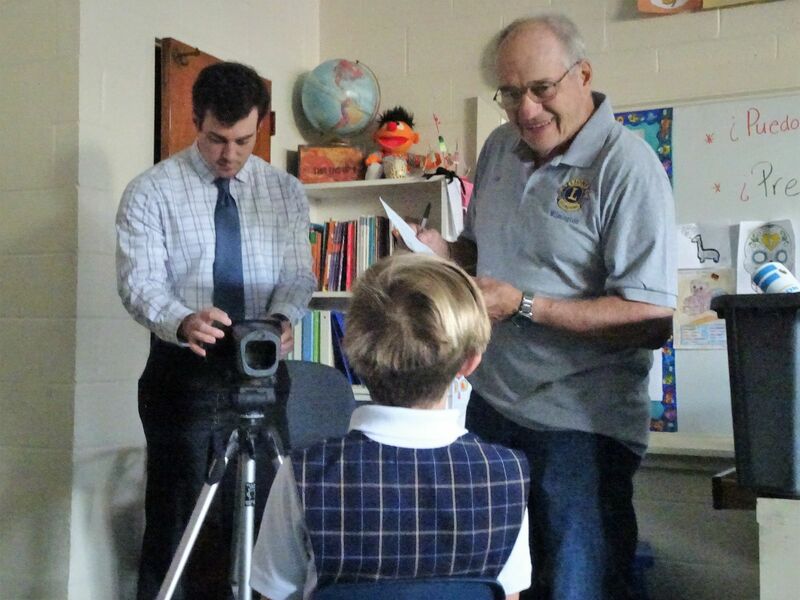 The Wilmington Lions Club helped to organize and pay for the Welch Allen Spot Screeners. This camera is a specialized portable handheld device designed to help Lions quickly and easily detect vision issues on patients from 6 months of age through adult. Spot Vision Screener technology is changing the way routine vision screening is done. This camera provides an automated, objective vision screening that reduces the risk of missing pre-amblyopic and amblyopic risk factors in children and adults. 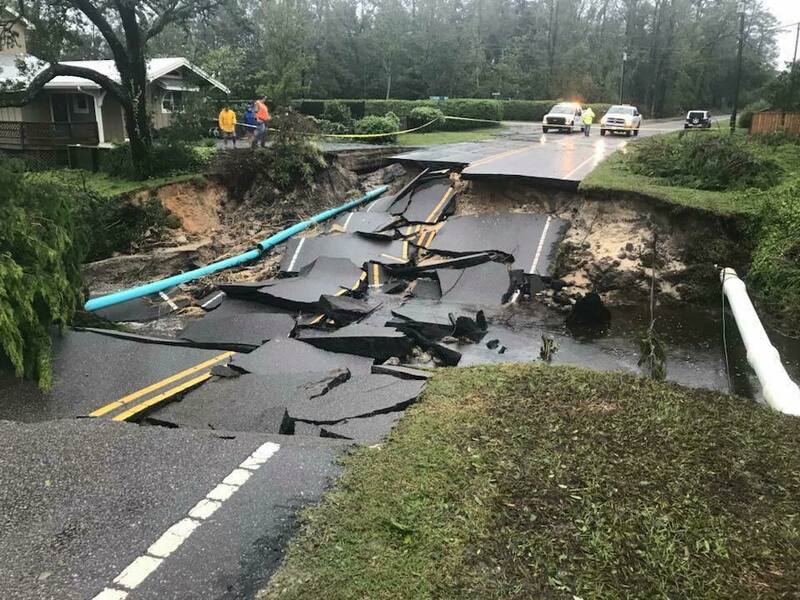 In addition to the matching grant from LCIF, funds were raised by participating Lions Clubs in Zones 3 and 5: Bolivia Lions Club, Burgaw Lions Club, Calabash Lions Club, Hampstead Lions Club, Oak Island Lions Club, Shallotte Lions Club, and the Wilmington Lions Club. 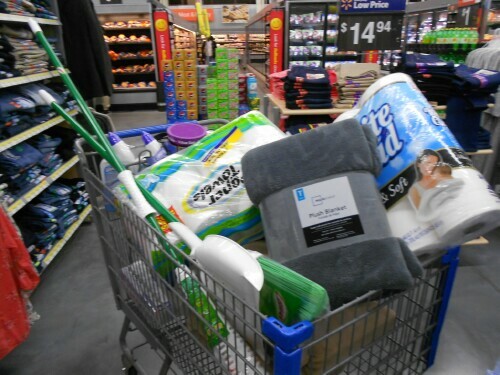 Money was also donated by the Catherine Kennedy Home Foundation, the Brunswick Electric Membership Corp., Four County Care Trust, the Ocean Ridge Charities Association and the Pender County Farm Bureau. Already over 1500 children in New Hanover, Pender and Brunswick County have received a vision screening using the new Welch Allyn Spot Vision Screener. This is a wonderful tool that we have to help our communities. It makes vision screening easier for us as Lions and volunteers while requiring minimal effort from the child or patient. If you’d like to learn more about the Spot Vision Screener please contact your local Lions Club. What better way to end the Visually and Hearing Impaired Surf Camp than hot dogs on the beach served by the Wilmington Lions Club. 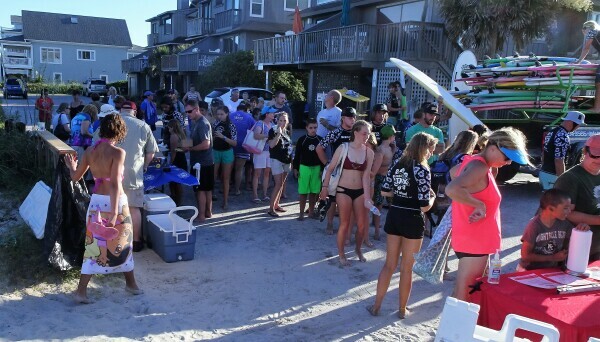 The IndoJax Surf Camp for the Visually Impaired and Hearing Impaired was held at Wrightsville Beach on July 10-13, 2018. More than 110 were served including 30 campers, parents, volunteers and staff. The campers came from as far away as Massachusetts and New Hampshire. The attendees were served lemonade, ice water, chips, cookies and Trolley Stop Hotdogs including the famous Trolley Stop Surfer Dogs. for current projects and information. 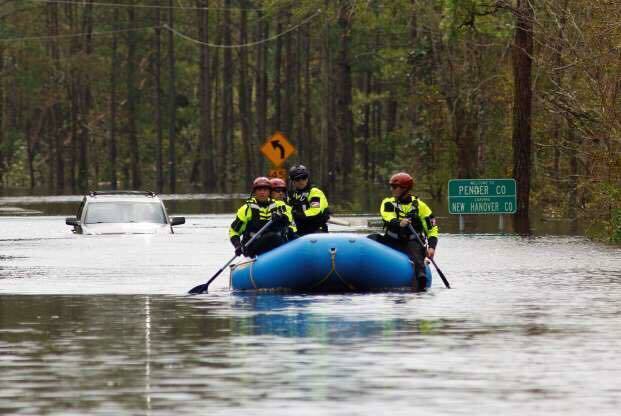 February 11, 2019, Wilmington Star-News about the Lions in District 31-N participation in Disaster Relief. 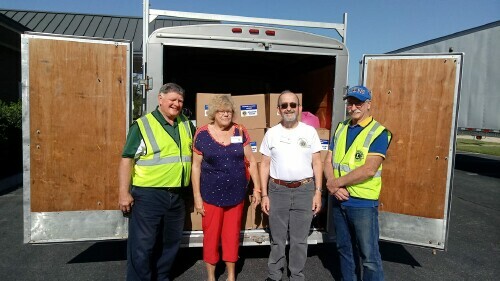 Clubs participating include Wilmington Lions Club, Burgaw Lions Club, Hampstead Lions Club, Calabash Lions Club and the Hanover Lions Club and the DeLand Lions Club of Florida. The Wilmington Lions Club ended a four-day Indo Jax Visually Impaired and Hearing Impaired Surf Camp with a hot dog feast. Jennifer DeLong-White is hired by the N.C. Department of Health and Human Services to work with the visually impaired in New Hanover County. "Area Lions Clubs send visually impaired to Camp Dogwood"
"Lions donate to Indo Jax Surf Camp"
YOUR VOICE: "Donate used eyeglasses to the Lions Club"
"Exposing the Vision of the Wilmington Lions Club"
"Lions Club Screens Vision and Hearing at MedNorth Health Center"
"When state cut funding, Lions Club expanded services"
The Wilmington Lions Club was organized on May 17, 1922. . The Wilmington Lions Club was among the first 10 original Lions Clubs started in 1922 in North Carolina, being the fourth to be charted. The Wilmington Lions Club is located in Wilmington, NC. We are part of Lions Multiple District 31 North Carolina. Our sub-district is 31-N which makes up 22 clubs in the southeastern part of North Carolina. Our motto is "We Serve." Lions are part of a global service network, doing what we can to help our local communities.